But it shows what we know. Often songs we think are 100% bankers fall at the first day, and those we think will flounder and flap come through fighting. This applies to none of mine by the way. I am still win less and that isn’t going to change soon. So lets go through the track list up to now before introducing our next selection of songs. As per usual, have a listen to our Track 8 selections, read why we picked them and of course vote for your favourite. Due to the length of Dom W’s selection, I couldn’t embed it into the site so I hate to use Mflow – hence why it stands out a little more. This is one of those tracks that there are so many different versions of it was a pure fluke that the original version was in the right position to be track 8. 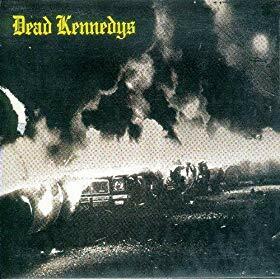 An incendiary punk classic, their first single and on their first album Fresh Fruit for Rotting Vegetables (rotting vegetables being one of the uses of the word Punk, so there is some learning for you). Lyrics that pull no punches, and with a band name like that it shouldn’t be a surprise. Oddly I picked this a few weeks ago, and like many odd coincidences in life the tale of corruption and politics is headline news again. The haunting line of “now it is 1984, knock knock on your front door” is key to this song for me. We all know that Orwell was just a few years out with his predictions on what was going to happen, and as civil liberties are eroded and the world changes, the US Governor the song was about in 1979 is actually now again the Governor of California, will it become true this time around? In other linked news, this week I bought tickets to go and see the lead singer of the Dead Kennedys in his current band, Jello Biafra and the Guantanamo School of Medicine – so he is clearly happy with the controversial band name! This track won’t be to everyones taste, but give it a listen, you never know, you might like it. I would very much like The Sound Of Music to be re-made. Things by Fannypack for a modern day take on My Favourite Things? I think so! 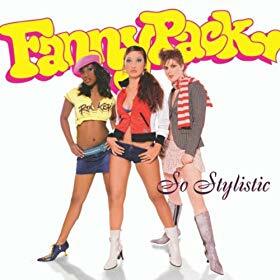 Every Ultimate Album needs a bit of fun and for that reason Fannypack get my vote. That is all. Happy voting! 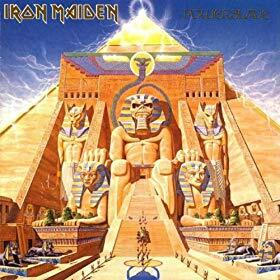 After last weeks track from thrash legends Metallica, I thought I would follow it up with another track from 1984 from an equally good album; Iron Maiden’s Powerslave. This track, based on the epic poem by Samuel Taylor Coleridge, is the closing track on the album but still sits at number 8. Iron Maiden are a British institution in my opinion. Over the years, since their beginnings in the East End of London in the late 70′s, they have evolved so much. 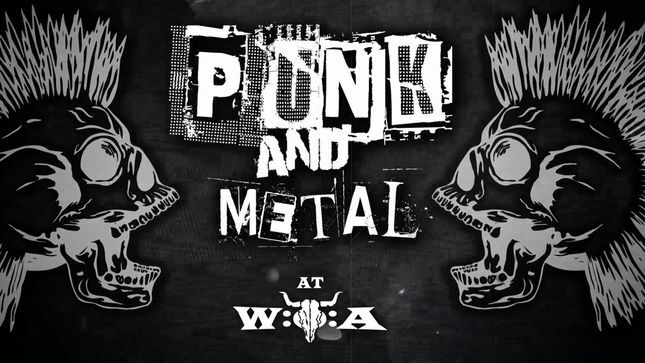 Much of the metal scene nowadays owes a great deal to this great band. In 1984, Iron Maiden were about to embark on the World Slavery Tour which would go on to be the bands (still) biggest tour. 100′s of shows and inevitable burnout nearly forced the band to split. Their 1986 follow up was not as good but proved a blueprint for their successful 1988 album, Seventh Son of a Seventh Son. Following this, Maiden never really produced material that sat with their classic 80′s period, however the band are now arguably bigger than they have ever been and are producing records again that sit with the very best of Maiden’s material. From the voting for ultimate album it would appear that metal is not high on people’s agenda’s which is fair enough. This track probably won’t convince you otherwise however I feel I need to point this track out to you. It’s pompous, long, self indulgent and ultimately, bloody ace! Clocking in at 13:34, it goes through many tempo changes that Iron Maiden are famed for, blazing solos, chugging bass, a great atmospheric middle section and a euphoric last few minutes with a deathly scream from the air raid siren himself, (and part time pilot); Bruce Dickinson. The track is standard fair for the first 5 minutes but then the track takes on a new life. The bass turns into a monotonous wander whilst the guitars produce feedback sounds to accompany a spoken word section of the original poem. The atmosphere that is created here is amazing. Sends a chill down my spine whenever I hear it. Around the seven minute thirty mark, the track again continues to grow. Dickinson leads a full band rising up to an awesome crescendo of noise and screams about a minute later (so stick with this track!!!). The last few minutes of this song are some of my favourite music ever created. Seeing this live in 2008 was a dream come true. Couple this amazing song with an amazing stage show it blows me away. I hope you all like it. If you don’t; I hope you appreciate it. But ask yourself, what mixtape doesn’t need a song of epic proportion on it? Pet Sounds ranks as one of my all time favourite albums. EVER. 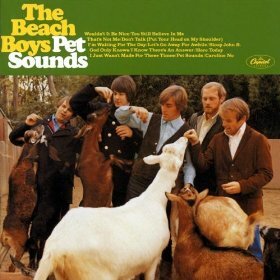 I often find when talking about the Beach Boys they are often dismissed – even when I submitted Pet Sounds for my Masterpieces selection I had many comments from people saying they didn’t think the album is all that. If you listen to Pet Sounds, and I mean really listen, with headphones so you can here the intricate details hidden away in the mix. Eventually, I hope you will understand why I feel this album is one of greatest ever recorded. I always knew a song from Pet Sounds would make it into my list – but I wasn’t sure which. It has been difficult as a selection, because the album is something which should only be played in its entirety. But this is a great song, instantly recognisable and loved by many. A good friend of mine by the name of Daniel Keeble once said to me that he felt all of your little life problems can be answered by listening to Pet Sounds on your own and I totally agree with his assessment. Bliss.